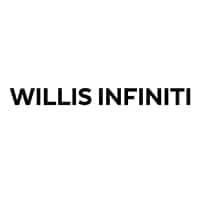 Willis INFINITI is your one-stop shop for genuine INFINITI parts in Des Moines. If you are looking for heavy-duty components like an upgrade on the engine, or just something to add on to your interior, we have it here for you. The staff at our Des Moines INFINITI parts department understands what your needs and requirements are and helps you decide on the best deal available with us. You don’t have to worry about anything as we deal in only genuine and certified automobile products. Drop by our Willis INFINITI part store in Des Moines to learn more!